Centers for Disease Control and Prevention (CDC), responsible for protecting public health and safety through the control and prevention of disease, injury and disability. Food and Drug Administration (FDA), responsible for protecting and promoting public health through the regulation and supervision of food safety, dietary supplements, prescription and over-the-counter medications, vaccines, blood transfusions, medical devices, and more. National Institutes of Health (NIH), responsible for biomedical and health-related research. The NIH is the country’s largest funder of biomedical research. Administration for Children and Families (ACF), responsible for federal programs that promote the economic and social well-being of families, children, individuals and communities. If there’s an outbreak of food-borne illness that affects people in multiple states, we may not identify it promptly. Although there’s a current outbreak of food-borne illness (salmonella in raw chicken) that’s affecting people in 18 states, the CDC’s investigation and lab resources are unavailable. 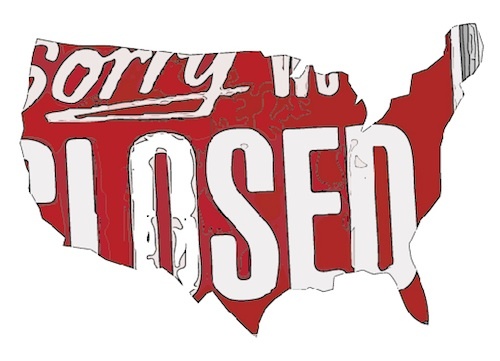 With the government shutdown, 68% of its staff have been sent home. With 68% of its workforce furloughed, the CDC won’t be able to support the annual seasonal influenza program. Not great timing with the U.S. flu season about to start. In addition, the CDC won’t be able to support outbreak detection and linking across state boundaries using genetic and molecular analysis, continuous updating of disease treatment and prevention recommendations (e.g. HIV, TB, STDs, hepatitis), and technical assistance, analysis, and support to state and local partners for infectious disease surveillance. At the NIH, 73% of the agency’s employees are furloughed. As long as the government is shut down, the NIH Clinical Center, which typically sees 10,000 new patients each year who have exhausted standard medical treatments and don’t have any other options, will have to turn away ~200 patients every week. Moreover, new clinical trials for experimental therapies and rare diseases have been put on hold. The NIH will not take any actions on grant applications or awards, leaving thousands of academic researchers across the country in professional limbo. The ACF has discontinued quarterly formula grants for Temporary Assistance for Needy Families, Child Care, Social Services Block Grant, Refugee Programs, Child Welfare Services and the Community Service Block Grant programs. During the shut down, new discretionary grants, including Head Start and social services programs, won’t be made. Contingency Staffing Plan for Operations in the Absence of Enacted Annual Appropriations. Department of Health and Human Services. Fiscal Year 2014. Foodborne illness monitors return to work at CDC. CBS News. 2013 Oct 8.